Calling all Bob Seger fans – the heartland rock legend has announced some very important news this year!! 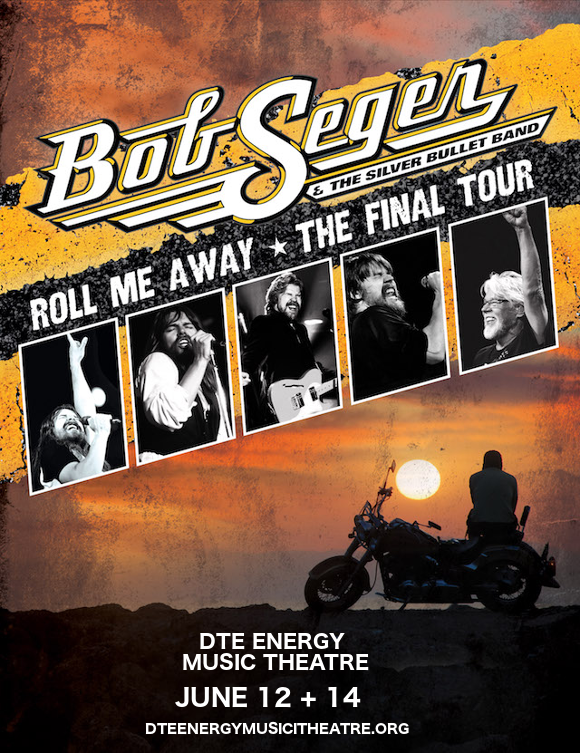 2019 is the year Bob Seger And The Silver Bullet Band hit the road for the final time ever before the veteran takes a hard-earned rest! The celebratory farewell tour comes around to the DTE Energy Music Theatre on Friday 14th June 2019 – if you only see one show this year, make it this one!! Tickets on sale now and expected to disappear overnight, so do NOT delay – this opportunity won’t come around again!! Hit the “Buy Tickets,” button and get yours today!! Over the years, few can claim to have had an impact, legacy and staying power quite like that of Bob Seger. Virtually the founder of the heartland rock genre, he’s known for hits including "The Fire Down Below," "Old Time Rock & Roll," Willie Mitchell's "Come To Poppa," "Her Strut" and "Ramblin' Gamblin' Man." For fans who’ve seen him before, this promises to be a Bob Seger show unlike anything you’ve ever witnessed before. And for those who haven’t seen him, this is your LAST CHANCE! !